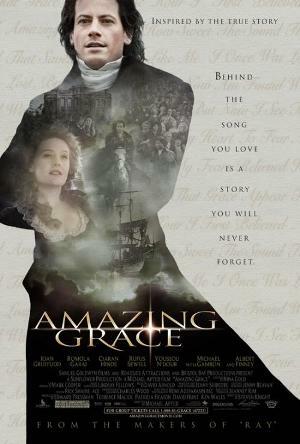 Based on the life of Christian activist and British parliament member William Wilberforce, Amazing Grace is a very important and powerful film. Wilberforce is a unique and remarkably extraordinary man, to say the least. The story opens as a dreadfully sick Wilberforce (Ioan Gruffud) takes a holiday at the home of some close friends. They introduce him to his future wife Barbara Spooner (Romola Garai), however, to begin with, they resist any romantic involvement and remain friends. He relates his story to her about how he became an Evangelical Christian while also a popular member of the British Parliament. He had considered leaving politics for theological studies, however, he is persuaded by friends, including William Pitt (Benedict Cumberbatch), to continue in parliament. He is asked to tackle the highly unpopular issue of slavery, and after a visit to his aging mentor John Newton (Albert Finney), Wilberforce’ fervor increases. Due to his own regrets about formerly being a slave trader, Newton is hounded by guilt and urges Wilberforce to end the trade. Soon William Pitt becomes prime minister, and Wilberforce gets ready to bring a bill outlawing slavery to the house. He gets some unexpected support, but his popularity dwindles, and he is strongly opposed by a coalition with a large stake in the trade. His bill is ultimately beaten outright, but William continues the cause for numerous years still to no avail. Now back in the present, Wilberforce is sickly and dejected, but Barbara encourages him to push on. They get married soon after and the fight continues without much progress. However, finally William devises a clever plan to cripple the slave trade, and he gains some new allies. His colleague and friend Pitt is slowly dying, but he supports Wilberforce. After many years of tireless struggle, a bill is passed in parliament that effectively ends the slave trade in 1807. Wilberforce is one of those often unsung heroes who truly did something amazing. Pun intended. With the release of Lincoln more recently, there are definite connections that could be made between the films. Like Lincoln, Wilberforce worked for more than political clout, because he knew what was good and right, and so he fought for those principles. That is the sign of a truly great man just like Abraham Lincoln. Much like Wilberforce himself, this film is less heralded than Lincoln, but I would wager that it is no less important as a historical drama. This entry was posted in 2000s, Drama, Historical, Spiritual and tagged Albert Finney, Benedict Cumberbatch, Ioan Gruffud, Review by 4StarFilmFan. Bookmark the permalink.